Its About, What About? whereabout? 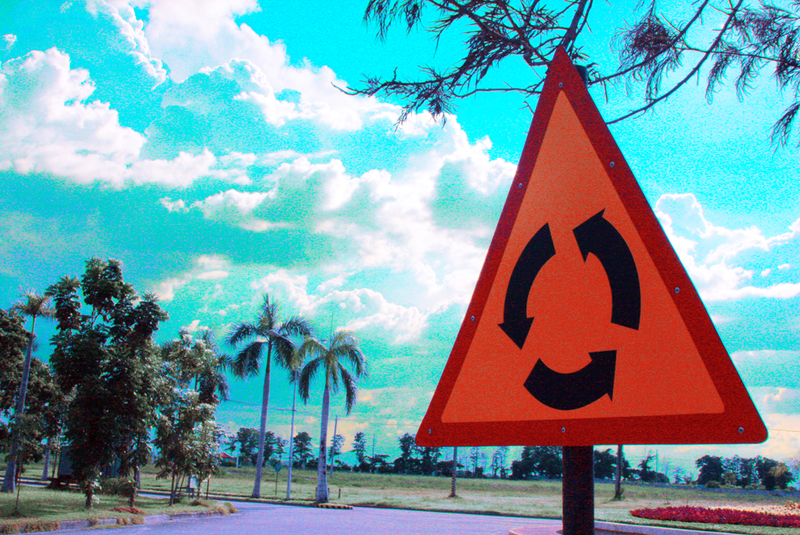 Roundabout! I would be terribly confused with this one. Nice and interesting. What is it indicating? A right hand loop? ummm I'm lost. :) love the colors in this! Very nice colours and shapes in this--it looks kind of surreal! Neat picture! I love the blue of the sky! I. HATE. Roundabouts. There's one down the road from my house and I have to go through it every day to go to school! Gorgeous!! The orange sign against that birght blue sky - perfection! Love the fun you've had with this one - great play on words!! very neat pic and statement! look up "She's a roundabout" on itunes - it's a great song! Roundabouts will be the death of me! I do like this shot though. nice, I like this a lot!! thank you guys..... =) love you all!! !